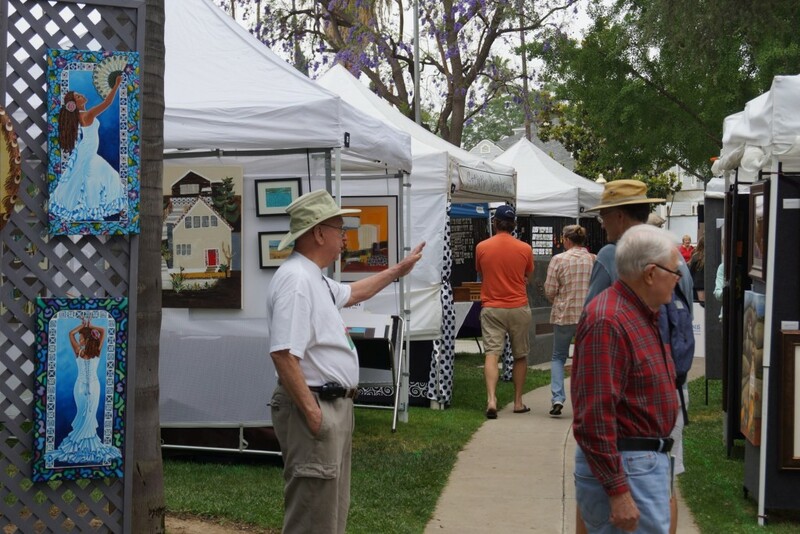 The 2019 Redlands Festival Arts is scheduled for Friday, Saturday and Sunday, May 24-25-26, in Smiley Park. The Festival Kicks off Friday, May 24, with a Concert Salute To Our Troops at 6 pm at the Redlands Bowl. The Festival art exhibitions are open May 25-26, from 10 am to 5 pm. Come early, spend the day and enjoy the festival. Visit our friendly featured artists who work in all kinds of media. Parking is best early in the morning (and so is the shopping). Bring the kids and visit our Kid’s Zone for a hands-on art creative experience. Our live entertainment line-up will keep you smiling and your feet tapping. Visit our Sponsor’s Booth for special offers from local businesses. Stop by the Hospitality Garden for a craft beer or glass of wine paired with IE cuisine.